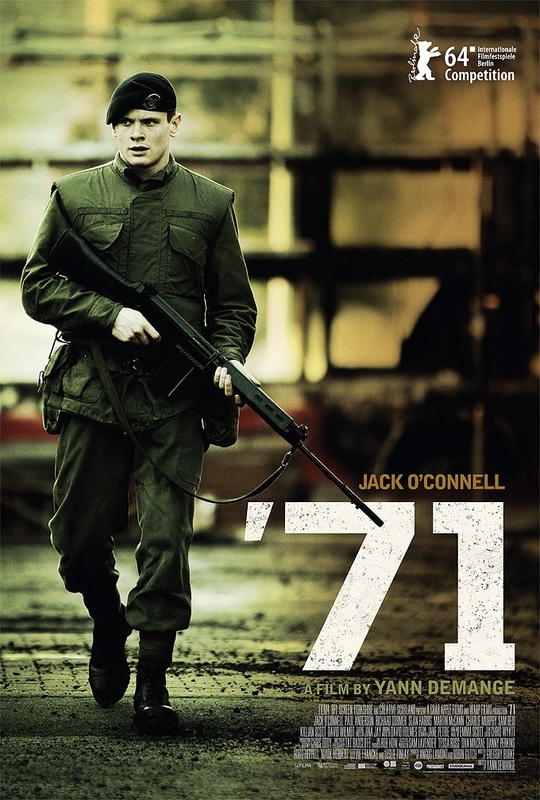 Are we going with 2014 or 2015 for “’71?” It’s rather comical that up-and-coming super-stud Jack O’Connell had three films screen this year, the worst of which received the widest release. “Starred Up” is a hard-hitting prison drama that’s lifted to towering heights by the performances of O’Connell and co-star Ben Mendelsohn. 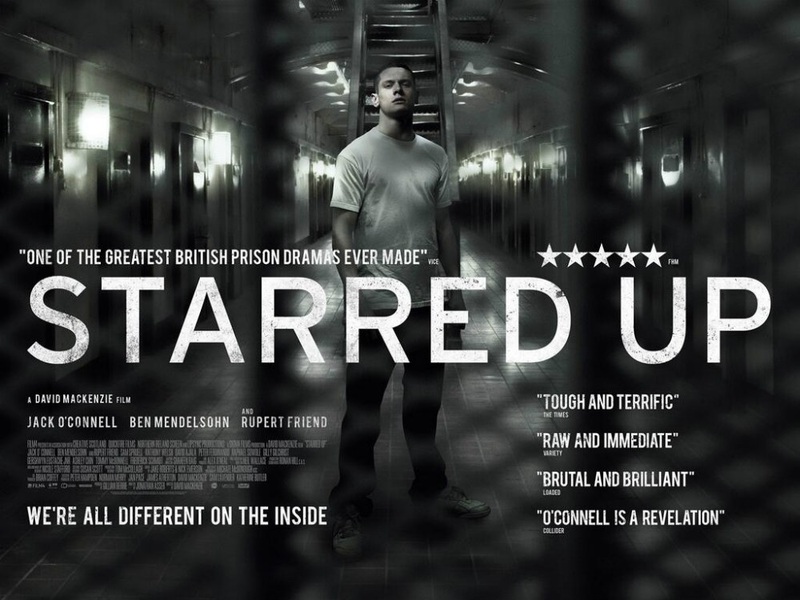 Swapping the more traditional, cringe-worthy visual aspects of the unflinching prison sub-genre (not all) for impenetrable dialogue and a vast array of relationships teetering on the brink, “Starred Up” will fill you with insight before knocking a few teeth down your throat. 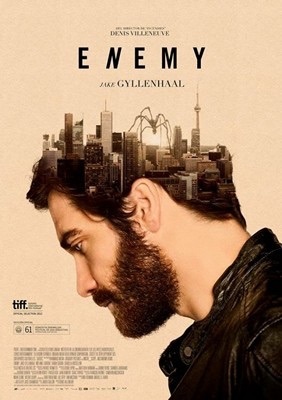 Very few have had quite as stellar a year as Jake Gyllenhaal in 2014, which is why I couldn’t help but rank this remarkable double-feature inside my top 10. 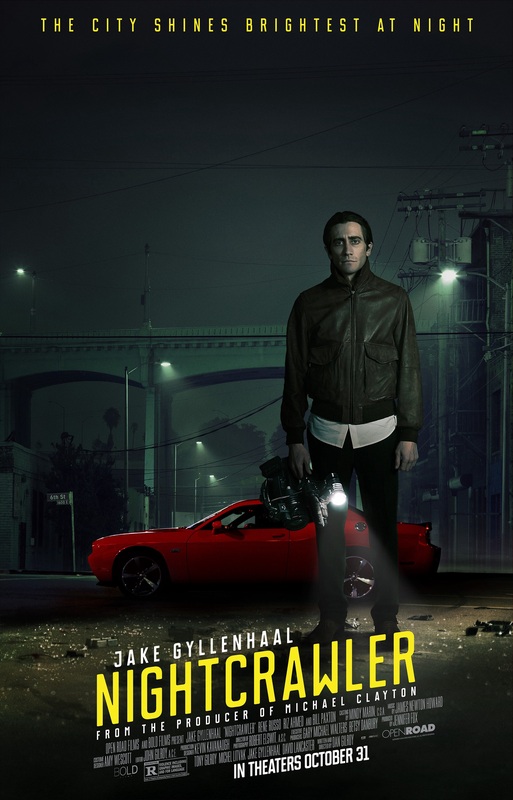 This double-dose of Gyllenhaal showcases the actor’s staggering, at times terrifying range. It’s mind-blowing that Gyllenhaal didn’t garner an Oscar nomination for either of these two fantastic performances, but I digress. 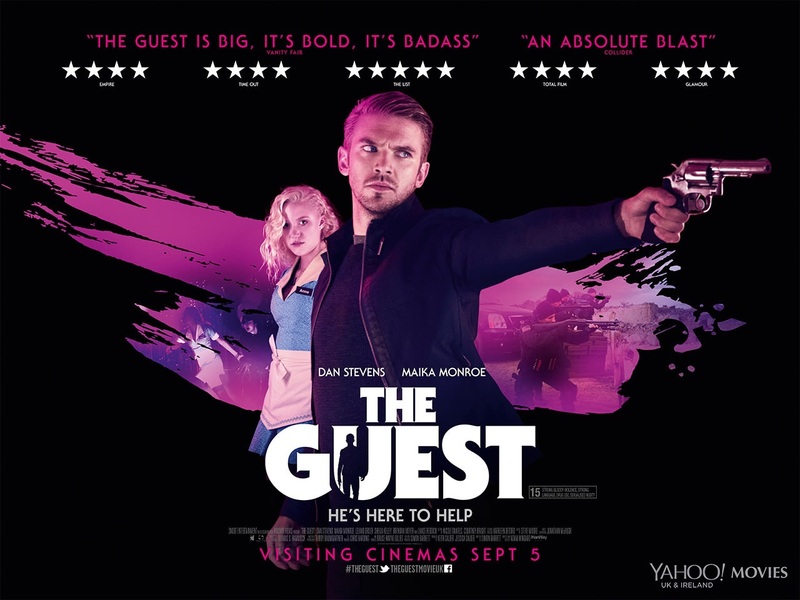 Containing easily the best soundtrack any film of 2014 had to offer, “The Guest” sees dynamic duo Adam Wingard and Simon Barrett reach new cult status. With incredibly charismatic performances from Dan Stevens and Maika Monroe, in addition to non-stop action “The Guest” is endlessly entertaining! Looked upon as a reliable, strong-minded scribe with a plethora of solid screenplays to his name, including the creation of “Peaky Blinders,” a personal television favourite of mine. Prior to 2014’s “Locke,” Steven Knight hadn’t much to brag about from behind the camera, but that quickly and assertively changed. 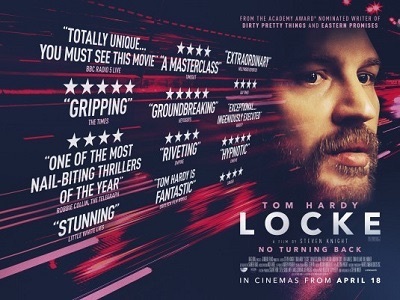 Led by a phenomenal performance from occasional Knight collaborator Tom Hardy, “Locke” is a magnificent spectacle of the human experience. This is the second consecutive year-end “best of” list J. C. Chandor has cracked for me, personally (All Is Lost, 2013). Much like last year’s film “All Is Lost,” “A Most Violent Year” didn’t get much love come award season, but once again that didn’t discourage my ranking it inside the top 10. 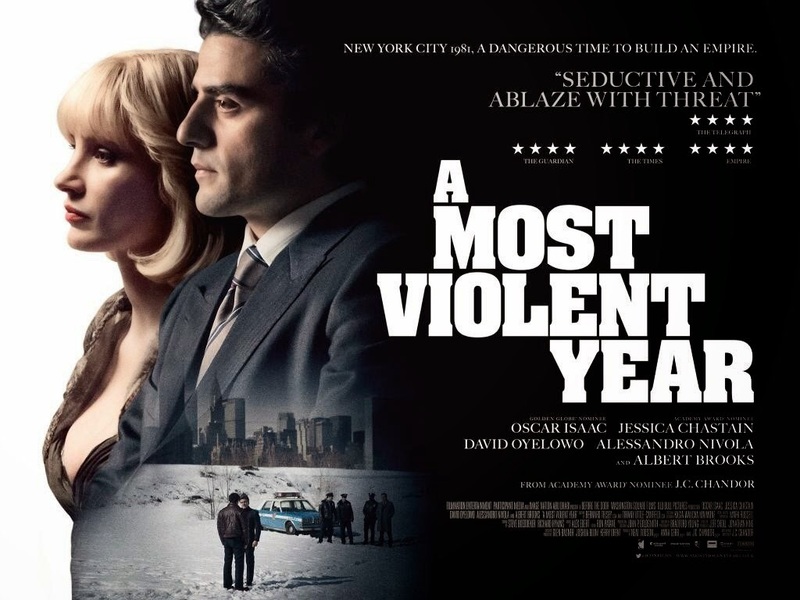 With formidable performances from its entire cast, including Jessica Chastain, Oscar Isaac, and Albert Brooks, a subtle, yet immensely powerful story, gloomy atmosphere, and the sure-handed direction from Chandor, “A Most Violent Year” is a must-see to any who missed it. As I’m sure most of you are aware, comedy cinema doesn’t sit too well with me. Which should only speak volumes in regards to “Force Majeure’s” placement on this list. 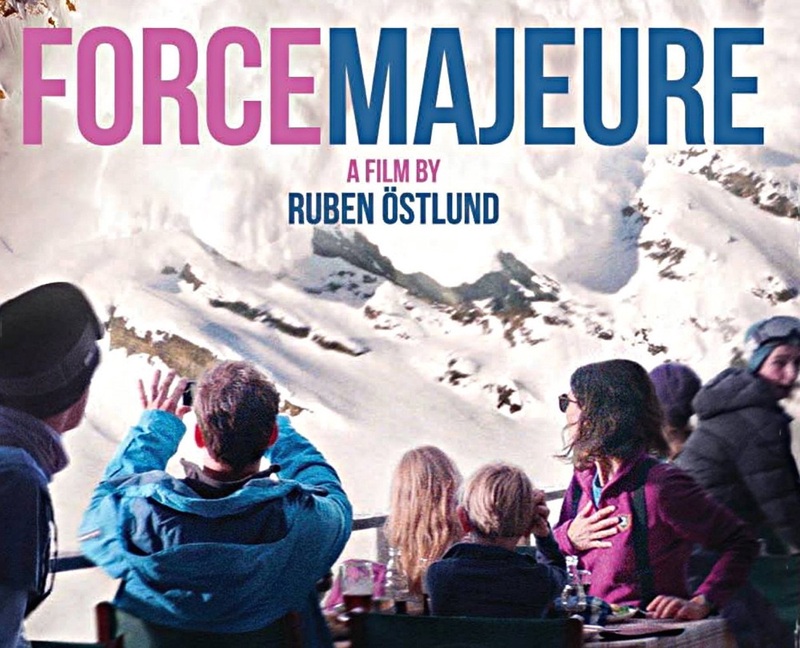 Providing the laughs, abundantly, and a rock-solid story that’s never as easy to watch as its breezy demeanour would insist, “Force Majeure’s” Oscar snub is almost as unforgivable as the absence of “Mommy” in the Best Foreign Language Film category. To say that I adore David Fincher and his very impressive resume would be a massive understatement. “Gone Girl,” although not the illustrious filmmakers best work to date, certainly has a place amongst the top of his efforts. 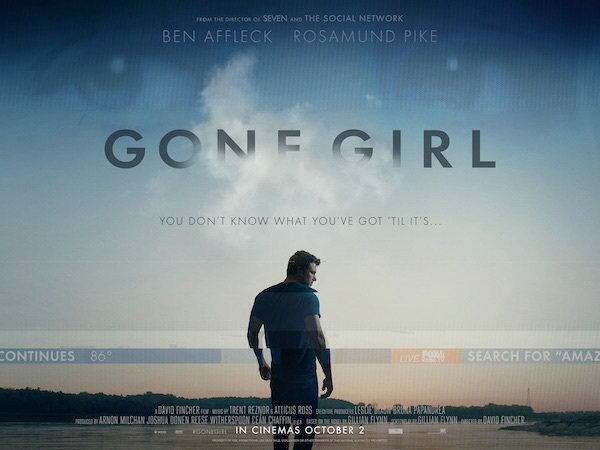 Further cementing Ben Affleck as a force to be reckoned with both on and off screen and earning Rosamund Pike an Oscar nomination, deservedly so I might add, “Gone Girl” mixes all the potent Fincher facets into one hell of a morbid cocktail. The odds-on favourite to take home “best foreign language film” at this year’s Academy Awards, “Leviathan” is an aptly titled juggernaut. 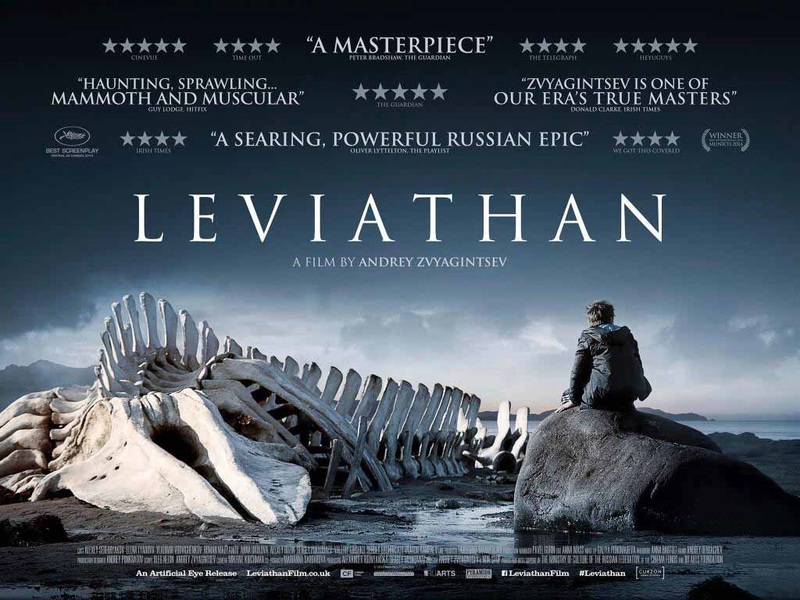 Breathtaking visuals, impressive performances, and an unfathomable socio-political complexity are just a few tangents of what makes “Leviathan” triumphant. Directed and written by home-grown Canadian wunderkind Xavier Dolan, “Mommy” catapults the young filmmaker to the relative peak of my top 10. I’d feel very unpatriotic leaving Dolan’s latest off this list, but rest-assured he earned this spot. “Mommy” is brutal, unforgiving, whilst conversely evoking the most genuine and rooted responses of the emotional spectrum. Performed with the utmost investment by the entire ensemble, “Mommy” is one foreign language film you won’t want to miss. It doesn’t exactly bode well for the credibility of Nolan’s latest topping this list, seeing as I could be considered the leader of Nolan’s group of so-called “Fanboys,” but I can’t stress “Interstellar’s” greatness enough. You’ve either seen this film by now and loved it or hated it. I fail to see the middle ground and apparently so does everyone else. With monumental visuals, a complex, out-of-this-world premise that simultaneously showcases the down-to-earth emotionality and intellectual reach of the human race. 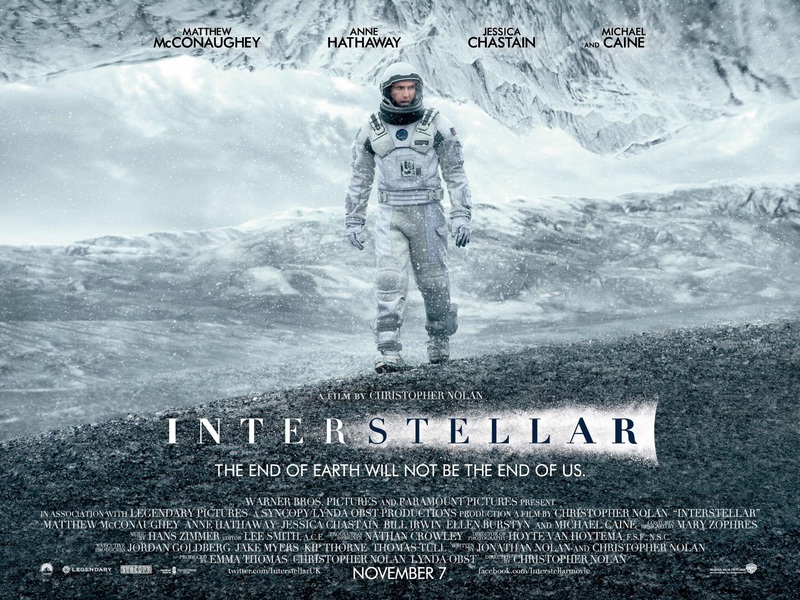 “Interstellar” will leave you in awe and down-right flabbergasted. 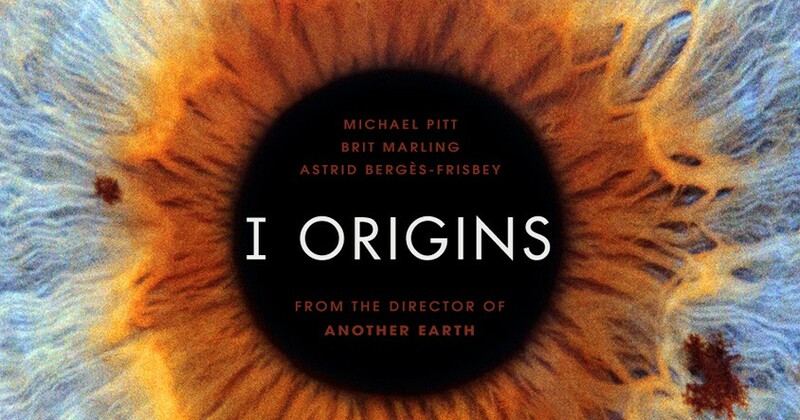 Thankfully, this film offers much post-viewing reading that should solve any issues or curiosity. What did you think of my list? Have a list of your own? Let me know in the comment section below!